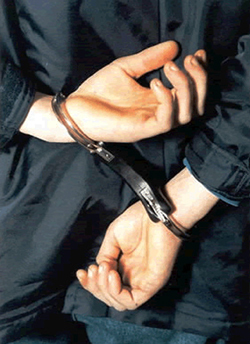 Pike County bail bonds can save you when unfortunate events that you were not expecting happen. You are always unprepared to confront these things, but Anytime Bail Bonding, Inc. is here to help you get through these difficult times. You can call us at (678) 688-1111 or visit us at 1434 Meriwether Street, Griffin, GA 30295 at any time. We will guide you through the bail bonds in Pike County GA process from the beginning until the end. When a loved one has asked you to help them get out of jail, you will need aPike County bail bondsman. After they have been arrested, they may be able to obtain bail bonds in Pike County GA after the court goes through a line of questioning. These questions pertain to his physical and mental conditions, financial resources, family ties, past criminal history, history of drug or alcohol abuse, past appearances in court and how long he has lived in the county. If your loved one is granted bail, you do not need to have the entire amount to get them out of jail. After you hire us as your bail bondsman, we will pay and ensure the bond for you, but this will require that you pay us a small fee. In the event that your loved one does not appear in court when ordered, we will pay what is left of your loved one’s bail amount. When you visit our Pike County bail bondsmen, you will be asked to pay 12 to 15 percent of the amount that is due to the court, but you will also need to offer collateral. This collateral could be your home, jewelry or an automobile. On top of the fee and the collateral, we may also charge you other fees, so be aware of this fact when you arrive at our bail bonds company. After your loved one is released from jail, we will be responsible for them. Since bail bondsmen in Pike County will be responsible for paying the entire bail amount, if your loved one does not show up in court our company is entitled to hire a bounty hunter if your loved one disappears. The bounty hunter will track your loved one down and ensure that they appear in court. The bail bonds process in Pike County does not end with a refund to you. The fee is payment for having your loved one released from jail, so after we accomplish this goal, the bail bonds process ends. If you or someone you know is behind bars waiting for trial, contact Anytime Bail Bonding, inc. right away at (678) 688-1111 because when your freedom is on the line you can count on us anytime.